All students want to do when summer arrives is forget about school and doing their homework. They want to live stress-free and work-free. However, too much relaxing can make their brain lazy. Here are some fun ideas to keep your child's mind active and learning this summer. Get ahead: Why not use this summer to help your child get a head start on the new school year? Sign them up for tutoring lessons where they can get ahead and refresh previous lessons. Visit new places: The world has so much to offer outside your bubble. Make it a family goal to visit new places, to learn new things, and make some fresh memories. Do some writing: It’s vital for youngsters to develop strong writing skills and it will be easier for them to do so if they do it in a fun way. Encourage them to start a diary or a journal, or to get together with their friends to start a paper. They can document their summer and what’s happening in town. Join a reading program: Reading should be a habit all children possess. 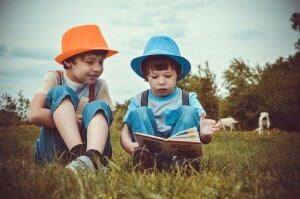 It’s understandable that children might find it hard to read while balancing their schoolwork, which is why summer is an excellent time to read a book or two. Why not join a reading program? Keep your child busy and learning this summer with some tutoring classes. The Tutoring Center, Fulshear TX has some excellent tutoring options. Call them at (281) 346-8120 to learn all about them.